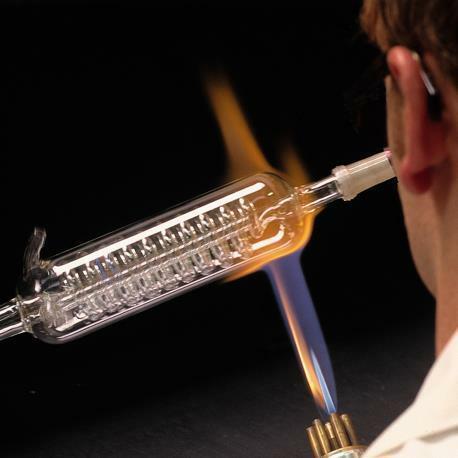 Catering to the needs and requirements of our highly respected customers we are dealing in various Glass Blown Apparatus. We have established a long lasting relationship with some of the trustworthy vendors of the industry to obtain quality-approved glass to manufacture these apparatuses. Apart from this, to amplify the gratification level of our customers we are offering these products in various sizes. Our clients praise this range for having sturdy construction and strong resistance to various chemicals. Our numerous customers can avail from us Laboratory Glass Blowing Apparatus. This blowing is made of superior glasses which assure durability to the products. Exclusively used in various research laboratories, these products work very effectively. During the time of heating, this blowing never break. We are assisted by a prolific team of expert quality analyzers who check the entire process of fabrication of these consignments. Looking for “Glass Blown Apparatus”?